Comprising five new songs, “Another Life” follows the release of split mini CD “Kindred Spirits” put out by Jakarta-based indie-rock/dream-pop ensemble Lightcraft with New Jersey indie-rock quartet Wyland by Misashi Records a few months ago. Their sixth release since forming in 2004 in Kuala Lumpur, it demonstrates a fully developed, mature and thoughtful sound. Something of an opus in four parts, this starts with scratchy, reverby old piano, a high vocal, and almost stately feel, until the drums and guitars come in after a couple of minutes, it all becomes heavier and more driving before a delay laden U2-inspired guitar line is introduced and it reaches a crescendo before dying away. 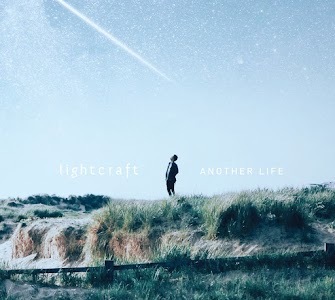 It’s a beautiful introduction to the Lightcraft oeuvre, an anthemic, dreamy, trippy instrumental, featuring the trademark repetitive motifs you’ll hear throughout much of their material. This is more poppy, bright, jaunty sound. Feels a bit like you’ve heard it before, but as with all their material it’s superbly well constructed. Reminds me a bit of UK band The Lightning Seeds, if anyone remembers back that far? (They co-wrote the best soccer song of all time, “Football’s Coming Home”, check it out, internet kids.) And as for the band’s assertion that they “that thrive under sadness and melancholia” – for this particular cut, nothing could be further from the truth. In a good way, obviously. Well, what would you expect from the song title (and now we think of it, the track “Hello Goodbye” on one of their earlier recordings?) Either way you’d be wrong, as I was. A return to the slower, more thoughtful style that I think suits these guys better than the previous track’s pop outing, it’s slow, languorous, beautifully layered and textured, piano that builds and builds, really tugging on the heartstrings. In fact the guitar and piano interaction is a real signature of almost everything Lightcraft do, and works superbly well. Upbeat, nice horn section adding another dimension, with that great guitar/keyboard partnership again. Parts reminds me of the brilliant English 80’s pop act Prefab Sprout, the vocal delivery and tone maybe? Starts dreamy, whispered vocals, with piano and atmospherics, before building up into another Lightcraft classic. Another great signature sounding track to end this excellent EP. Lightcraft have a beautiful, atmospheric, British influenced sound and some tuneful, melodic tracks. A class act, everything they do exudes quality – whether it’s your cup of low-key tea is another matter. But can we imagine them launching a major assault on the charts? Twenty years ago, perhaps – unfortunately in these days of copying and downloading, with only the likes of Coldplay and Taylor Swift seeming to actually make any money from the industry, bands ploughing alternative musical furrows do it because they love it, with touring alone covering the cost of their travels and beer. Subsequently Lightcraft tours pretty extensively, performing on stages and at festivals in Malaysia, Thailand, Indonesia, Singapore, Taiwan, Canada, the USA, the UK, South Korea, and India. They are apparently preparing new material for their third album, which is planned to be released sometime in the year 2017. On the strength of this excellent EP, I look forward to hearing it. You can download the album from iTunes.